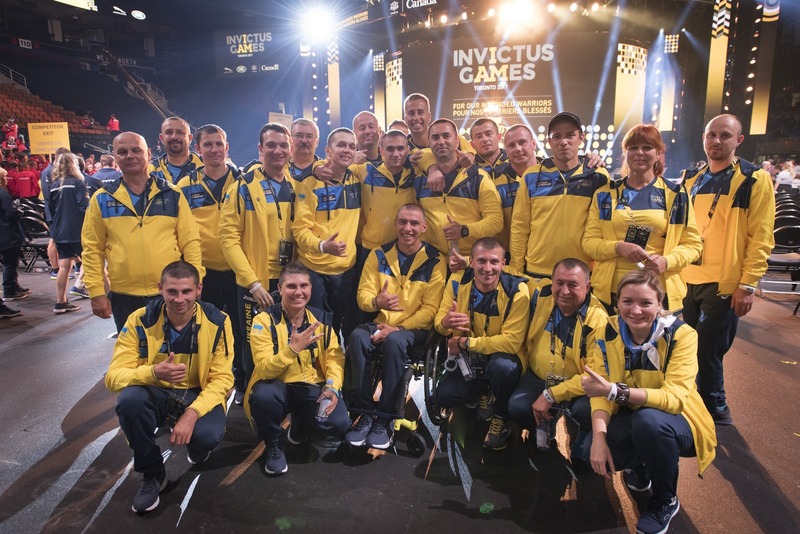 Ukraine’s first appearance at the Invictus Games international sporting event has turned out to be successful. The games – which feature injured military veterans from countries around the world competing in sports – are being held in Toronto this year, with more than 550 athletes from 17 different nations involved. Ukraine’s team won a total of 14 medals, including eight gold, four silver, and two bronze. On Sept. 26, Major Oleksander Pysarenko took gold in rowing, while Captain Vasyl Pashkevich earned the number one spot in the powerlifting event. Pavel Budayevsky won gold in four separate swimming events: 50 meter freestyle, 50 meters backstroke, 50 meters breastroke and 100 meters freestyle. Oleg Zimnikov won first place in the 1500 meter sprint. On September 29, Roman Panchenko scored best in beginners’ archery. The participating nations included veterans from the United States, the United Kingdom, Romania, Jordan, and New Zealand. The event featured sports such as sitting volleyball, wheelchair basketball, wheelchair tennis, cycling, athletics, powerlifting and an event new to the 2017 games – golf. The games’ events were held at the sport venues throughout Toronto. The game’s closing ceremony will take place on Sept. 30 at Air Canada Center in Toronto. The Ukrainian team returns home on Oct. 1. Kyiv sent a team of 15 starters, as well as 13 additional veterans who were held in reserve.